So one of the items on my March checklist is re-“doing” my youngest, Teah’s room. So, I thought I’d share how I typically go about choosing a color scheme when redesigning a room. And that is to find an inspiration piece and then choose the color scheme around it. That could be anything from fabric to artwork, a pillow, even a rug. In this case it was the bedding. And in the case, it was the WRONG BEDDING. I picked up the quilt from Target a while back thinking the colors were bright and vibrant enough for a little girl but could grow with her as well. I even chose the wall color and curtains from it. However, as I put them in the room and lived with them for a bit, I realized it just wasn’t working. (Which is why I didn’t even take a picture with the curtains.) I just wasn’t feeling inspired for whatever reason. It really had nothing to do with the quilt itself (I still love the colors). 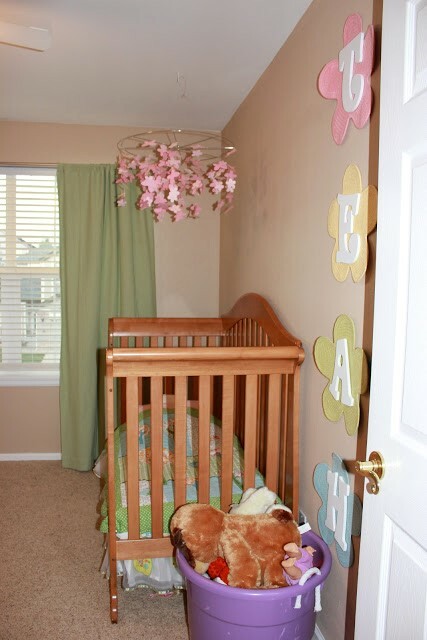 It just wasn’t right for the room and my little T.
So, I decided to give it another try and decided to splurge a little on a quilt from Pottery Barn Kids. I’m glad I did. Not only does it match the paint color, but it just suits my little princess. As you can see we are still in the beginning stages (and the sheets currently don’t match). But I can honestly say I am now feeling very inspired and have many more plans for the room. So STAY TUNED!!! (Cuz I’m pretty excited.) Our concrete has damage, so I called Corpus Christi concrete to repair the damage. They are a concrete service company that can help you any concrete damage. Quick Tip: It’s okay to take a risk and give things a try. And It’s okay if your first idea doesn’t exactly work the way you envisioned. I found myself trying to make something work that just wasn’t and it was making me crazy. It was actually my hubby that told me that it was okay to take the bedding and curtains back and start over. Funny how we sometimes need someone else to give us the “okay”. To think that everyone gets it right the first time, every time, is just not true. So give yourself permission to “get it wrong” from time to time. If you don’t try, you’ll never know.